This might be one of my favorites so far! I love the perspective of it. Great perspective! 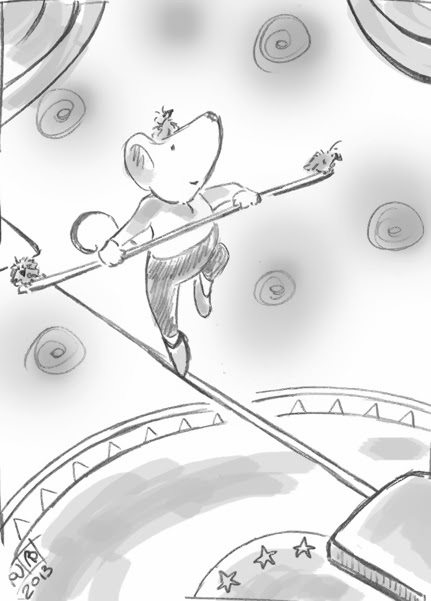 Love mouse's daring and sidekicks. 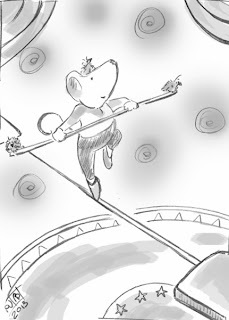 He looks like such a happy little mouse with confidence in his wire walking skills. I bet there's a story there? I loved this drawing! So sweet!